January is not that far away any more. 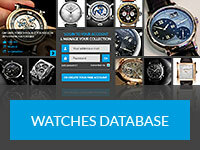 That’s a fact : watch nerds don’t care about December and Christmas : they care about January and the SIHH, International Fair of Haute Horlogerie ! 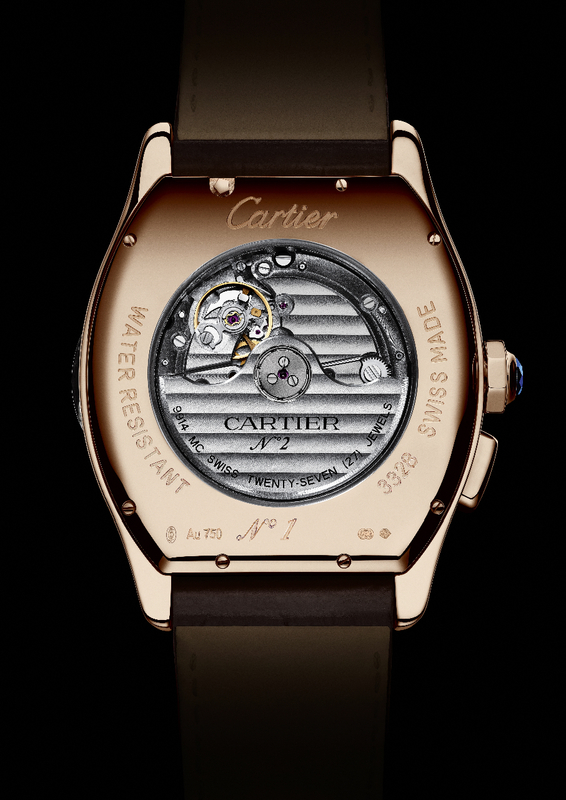 Before the next edition opens its doors in a couple of weeks, let’s have a glance at what Cartier recently unveiled about its old-time best seller, the Tortue. 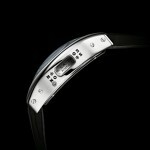 It’s a pretty good news that Cartier takes again a serious look at its Tortue. 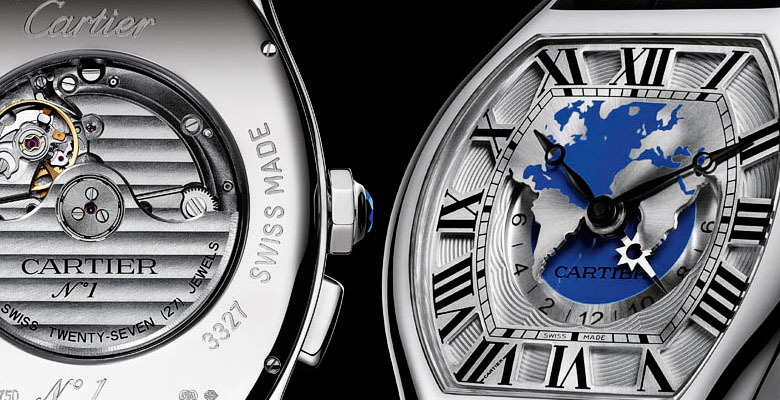 For quite a while, the brand focused on its Tourbillon, especially on the Mysterieux ones. 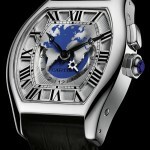 This was a necessary step to take, the time for Cartier to let the whole world know about its skills and capacities. 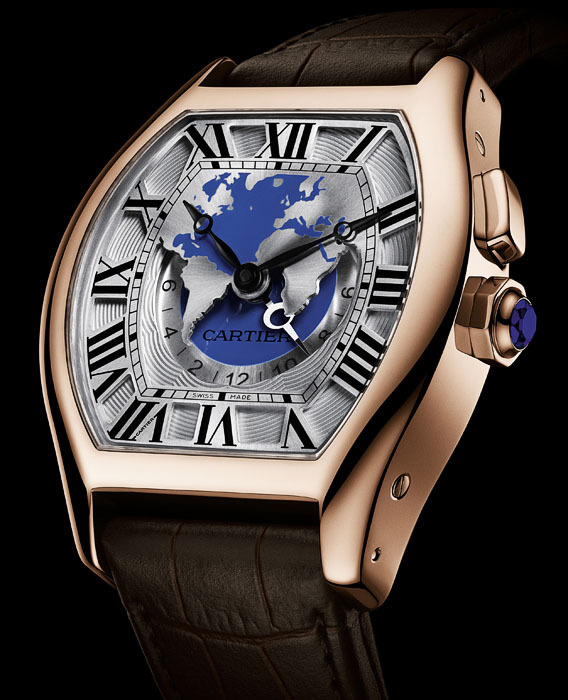 This job done, Cartier comes back on its historic pieces. The SIHH will be the place to admire, again, some good old timepieces such as the Crash or, our focus today, the Tortue (‘turtle’ in French). 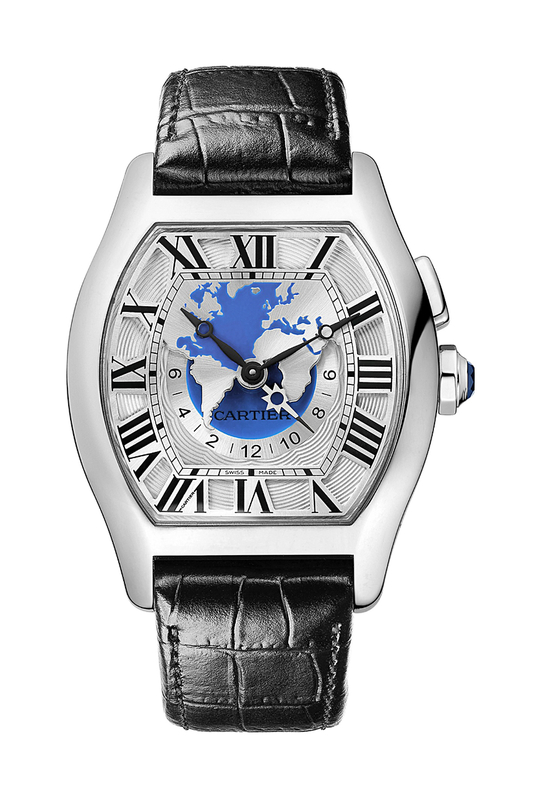 As its name understates, the Tortue multiple time zone watch is dedicated to world travellers. Their priority is to see the time in the place they are going without losing track of the time at their starting point and, above all, to be able to read this information without performing a tortuous series of operations. At that game, the Tortue multiple time zone watch is an imposing timepiece that discreetly shows its interesting sophistication. At first sight, this watch does not obviously display its strengths. 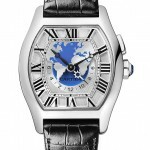 The Tortue belongs to the family of “World Time” watches. 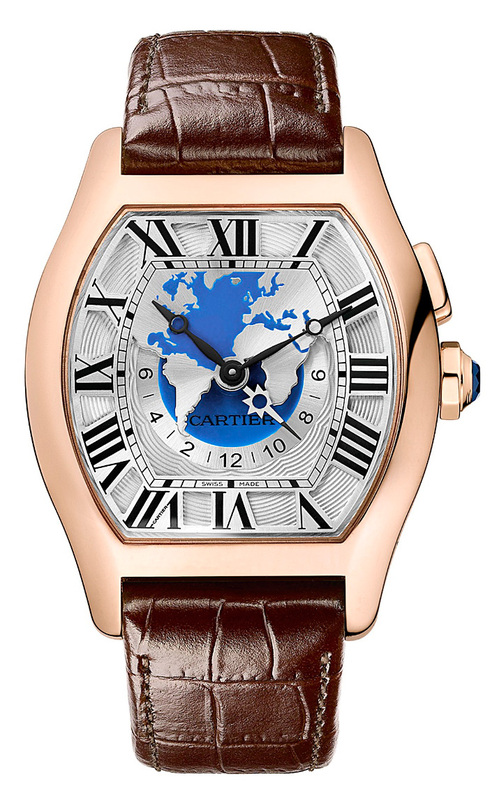 It has a dial incorporating a mobile disc carrying the names of major cities which each represent a time zone. 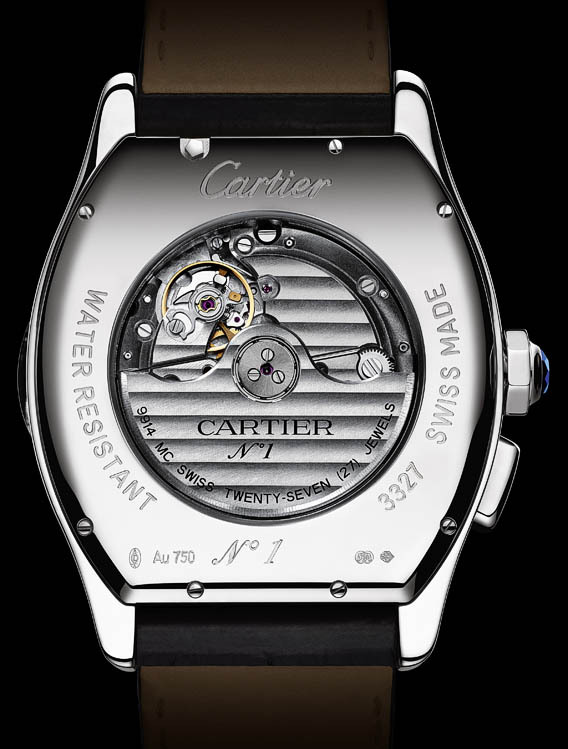 But in order to lighten the design of the watch’s face, Cartier chose to have these names appear in a window cut into the side of the Tortue. To avoid mental gymnastics, the time at the current location is clearly displayed by the principal hands. 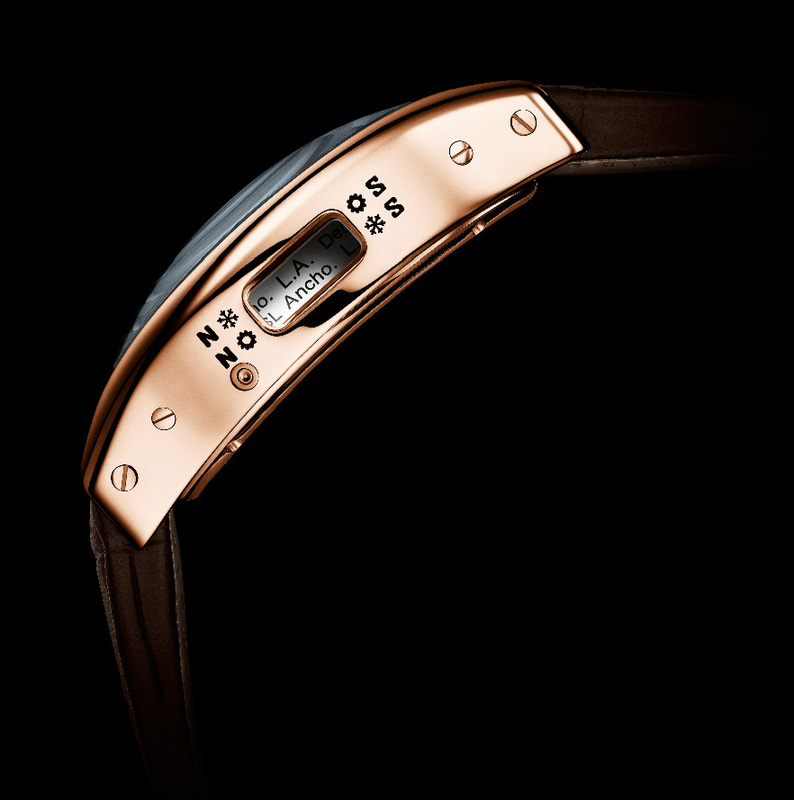 The time at the journey’s starting point is indicated in a semi-circular aperture in the lower half of the dial centre by a day/night hand incorporating symbols for the sun and moon. 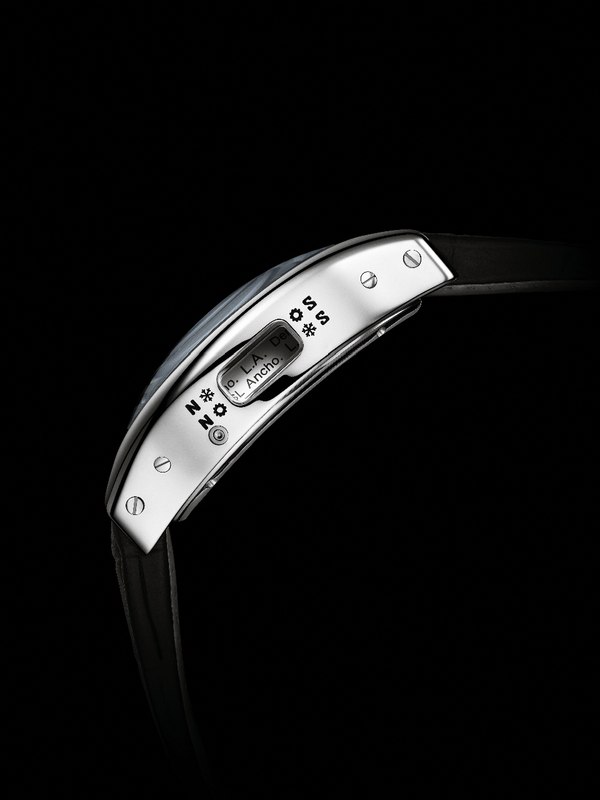 This mechanism, controlled by a push button at 2 o’clock, allows the wearer to see the time, displayed in 24-hour mode, in cities corresponding to the 24 most commonly used time zones. Last but not least, the caliber takes account of the change from Summer to Winter time in the countries involved. It is indicated on another reference scale in order to keep the time zone correct during the seven months in which Summer time is in effect. The whole system, powered by the 9914 MC caliber, is therefore full of great ideas. It embeds the complete set of information travellers need. 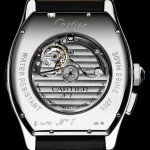 The side aperture is note seen enough in haute horlogerie and it’s a great idea from Cartier to have one on its Tortue. However, the lateral disc of cities seems quite far away from the case : too close from the movement, too far from the aperture. Moreover, the indications placed on each side of it would have been more elegant engraved than just written. Last drawback, the dimensions of the Tortue : 51 x 45.6 mm. Kind of a huge turtle ! 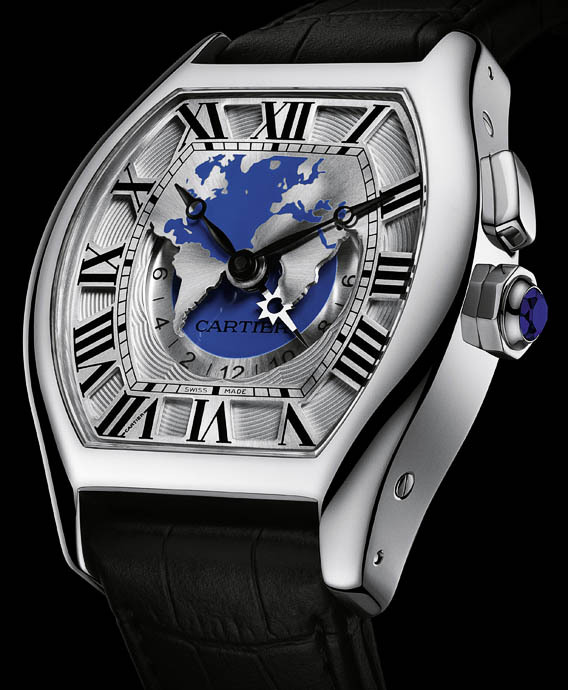 More resource about the Cartier Tortue Worldtime on Perpetuelle Blog, and Official Cartier Website.